41 years ago, Centennial’s Varsity boys basketball team celebrated their first win in program history, a 68-64 double overtime victory over rival Mount Hebron. Over four decades and 450 wins later, generations of Eagle athletes have built a program rich in tradition and full of history. In the landscape of high school basketball, continuity takes a backseat to change far too often. A team which wins a championship one year may have a completely new lineup the next. Come back four years later and there won’t be a single familiar face. In a competition level where turnover is inevitable, can a program really be considered a program? Is there truly any connection between Greg Brouse of Centennial’s inaugural season and Stafford Smith of today’s? The answer –in the case of Centennial– is yes. But this story isn’t about the connection between any of Centennial’s players, it’s about the three coaches who tied them all together. 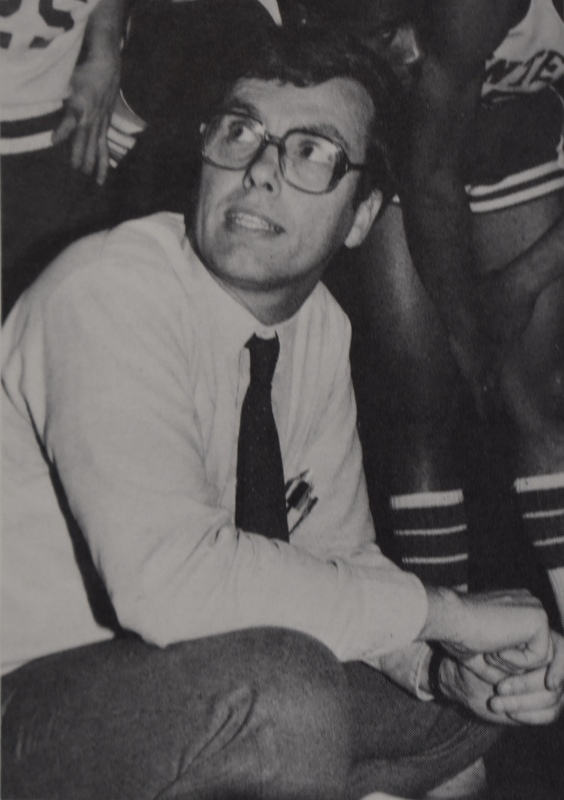 Samuel Leishure became coach of the Varsity team when the school opened in 1977. Leishure, 34 at the time, transferred to Centennial after spending 11 years working at Northwestern High School. 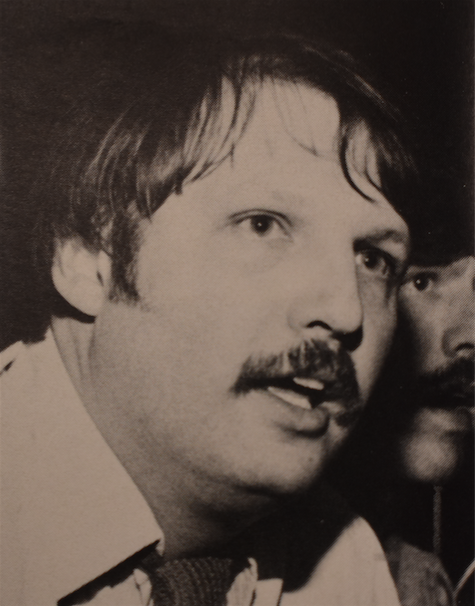 Although he stepped down from coaching after the 1983-84 season, Leishure continued to work as a guidance counselor at Centennial until his retirement in 2002. As coach, Leishure was tasked with a unique challenge: building a program from scratch. Unsurprisingly, Centennial’s inexperience proved too much to overcome in their inaugural season. After their thrilling, double-overtime win over Mount Hebron, the Eagles only won one more game and finished with an overall record of 2-18. However, Centennial improved dramatically the following year and finished 15-9 — the first winning record in program history. Unfortunately, that 15-9 record proved to be the high water mark of Leishure’s tenure. Over his next five seasons, the Eagles were consistently mediocre, never finishing with a better record than 12-8 or a worse record than 8-14. Nevertheless, Leishure’s influence on the program extended far beyond wins and losses. Although he may not have achieved the final results he desired, Leishure set the tone for how the program should be run. “He did what was right,” said Jim Hill, Leishure’s successor. “He was always kind of a moral pinnacle.” As coach, Leishure demanded excellence from his players both on and off the court. He made sure they never cut corners, and never put up with players cutting classes or getting into fights. According to Hill, Leishure would “make sure that [his players] were willing to pay the price to be good, and be a good person as well.” It was in this way that Leishure shaped the program from the beginning, serving as a great example for the two coaches who followed him. When Leishure stepped down from coaching at the end of the 1983-84 season, Hill applied for the job and got it. Hill had already been a part of the program for two years as coach of the Junior Varsity (JV) team, making the switch to Varsity more of a natural step. Although Hill’s more aggressive, pressure-oriented coaching style differed from Leishure’s more conservative approach, Hill believes he benefited from watching Leishure coach before taking over as Varsity coach. Despite their distinctly different philosophies, Hill produced similar results in his first seven seasons as Varsity coach. From Hill’s first season in 1984-85 to the 1990-91 season, the Eagles went a combined 59-95 (.383 winning percentage). In comparison, the Eagles went 64-84 (.432 winning percentage) from 1977-78 to 1983-84 under Leishure. For Hill, two of the most important things in establishing a winning culture were getting his players to “buy in” and truly dedicate themselves to the program. Under Hill, basketball became a near year-round commitment for Centennial players. The team began to play in summer and fall leagues together, strengthening team unity and giving players more opportunities to practice and improve. “[They] bought into the concept that you had to work at the game to get better,” said Hill. In addition to playing in summer and fall leagues, Hill began taking his teams on overnight team camps in the summer. While staying at colleges like Syracuse or the University of Delaware, his players had a chance to learn from other coaches, practice, and bond on and off the court. Perhaps as a result of their work ethic and dedication, Hill’s teams became known for their sound fundamentals and great defense. Both of these characteristics stemmed from Hill’s emphasis on the team over the individual. Hill pushed the idea that it’s much better for five players to score ten points than for one player to score twenty. It was Hill’s goal to make opposing defenses feel as if they had to stop all five players at once — an extremely difficult task. Over the next ten seasons, Hill’s methods and philosophy proved successful as the Eagles completely changed the culture of the Centennial basketball program. After ending a streak of four straight losing seasons with a 14-9 mark in 1991-92, the Eagles won the first county title in school history the following year. Three seasons later, the Eagles won their second county title. The next year, they won their third, en route to an undefeated season and 22-1 overall record. Three seasons after that, they won another county title. As if that wasn’t enough, they won yet another in the 2000-01 season. After leading Centennial to five county titles and a 145-82 record (.639 winning percentage) in a ten-year span, Hill had not just erased the program’s losing tradition, he had replaced it with a winning one. He led Centennial to one more county title, his sixth, in the 2004-05 season before retiring two seasons later. Following his departure, JV Coach Chad Hollwedel took over the Varsity job. Hollwedel had been part of the program since 1997, serving as JV assistant, Varsity assistant, and JV head coach in that time. According to Hollwedel, Hill was supportive of him getting the job and even put in a good word to Scott Pfeifer, the principal. “I felt that the program would be in great hands with Coach Hollwedel,” recalled Hill. With ten years of experience coaching in the program, Hollwedel was already familiar with the program’s new, winning culture and Hill’s philosophy. Just as Leishure had rubbed off on Hill, Hill gave Hollwedel valuable insight on coaching and leading a successful program. Coaching wise, Hollwedel says that watching how the system which Hill taught in practice translated to games taught him a lot. While the system which Hollwedel runs now differs from the one Hill ran, the three major tenets of Hill’s philosophy: great discipline, great defense, and sound fundamentals, are still a major focus in the program according to Hollwedel. Off the court, Hollwedel learned the importance of developing interpersonal relationships with his players. “Being able to relate personally as a player and coach was obviously critical,” he said. Hill also taught Hollwedel that mutual respect between and unity within a program’s coaching staff is essential for success. Hollwedel noted that players will see through a disunified coaching staff right away – ultimately leading to a more divided program. As Varsity coach, Hollwedel took this concept of unity within the program and expanded on it, implementing a system similar to the one he had been a part of in the football program. Instead of traditional JV or Varsity assistant coaches, Hollwedel decided to have “program assistants.” These assistants rotate between JV and Varsity every day, giving them the chance to work with all players in the program. “There’s continuity in what we teach because all of the coaches are teaching the same thing to every kid,” explained Hollwedel. As a result, JV and Varsity are more like one unified program and less like two separate teams. Another important point of emphasis for Hollwedel is focusing on one game at a time rather than the season as whole. “You’re not worrying about having a winning record, you’re not worried about consistently winning over the course of the season. You’re worried about trying to be your best every night to be 1-0 at the end of that night.” Hollwedel believes that having this mindset the whole season helps prepare his teams for the playoffs, a time when each game is truly a must-win. With Hollwedel at the helm, the winning tradition that Hill began has grown even stronger. After finishing with a losing record in his first two seasons, Hollwedel has led Centennial to nine straight winning seasons. Although Hollwedel has not won as many county titles as Hill, he has demonstrated a knack for taking his teams deep into the playoffs. In the 2010-11 season, Centennial won regionals and advanced to the state tournament for the first time in school history. Like Hill’s success with county titles, the floodgates opened after winning the first. In fact, the Eagles won regionals again the very next year and again in the 2014-15 season. In their 1979-80 varsity basketball preview, Pam Harrison and Brent Burkhardt of the Wingspan wrote that Leishure, “says that winning the state championships would naturally be his ultimate goal, but a more attainable one would be just to make it to the state championships.” On March 14, 2015 –12,889 days after the Wingspan’s preview was published– Leishure’s “ultimate goal” finally turned into a reality for the program. With a 57-43 victory over Westlake at College Park, Centennial earned its first boys basketball state title in school history. That win wasn’t just the result of one team’s year of hard work. Instead, it was the culmination of 38 seasons of Centennial basketball. 38 seasons of dedication and a commitment to excellence from Centennial players. 38 seasons of support from the Centennial community. 38 seasons in which Leishure set an example, Hill created a winning culture, and Hollwedel improved on their success. And so, as the Eagles try to win that elusive last game of the season once again this year, they are not merely playing for themselves or for Hollwedel. They are also playing for Hill, Leishure, and all the players who came before them. They are the Eagles of course; they play for Centennial. Featured Image by Ellie Zoller-Gritz. The Centennial Music Department hosted the annual Winter Choral Concert Wednesday night, featuring performances from all of Centennial’s choral ensembles and clubs. Concert Choir, the largest ensemble in the Centennial choral program, kicked off the evening with their rendition of Hlohonolofatsa, a South African greeting song. Rebecca Vanover, Director of Choirs, explained how her goal was to explore many different cultures in the music her ensembles performed. While additional songs by Concert Choir, Bella Voce, and Chamber Choir provided more international flavor, the various ensembles helped put the audience in the holiday spirit as well. Vocal Jazz and Chamber Choir sang the traditional winter songs of The First Noel and Carol of the Bells, respectively. Chamber Choir also sang Serenissima una noche, a holiday song with an international twist. In addition to Concert Choir, Bella Voce and Chamber Choir, Centennial’s choral clubs, C# Acapella and Vocal Jazz, also made appearances. C#, a student-led acapella group, performed 715 – Creeks. Vocal Jazz, a new group this year, sang The First Noel and They Say it’s Wonderful. Following performances by all five groups, every singer packed on to the stage for one final song. Afterwards, Vanover thanked the audience for coming and praised her students for their success. “They truly make me proud to do what I do,” she concluded. The choral concert capped off a week of concerts for the Centennial music program. All choirs, bands, and orchestras will play again during the spring concerts beginning April 2nd.